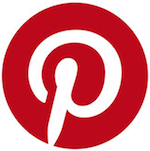 Social media platform Pinterest has retained lobbying and law powerhouse Brownstein Hyatt Farber Schreck, LLP to advocate in Washington on computer industry issues. The San Francisco-based content-sharing site has hired BHFS to lobby on copyright matters, according to lobbying registration documents filed with Congress in August. Issues surrounding intellectual property and copyright infringement have long-been contentious for the virtual scrapbook, which allows users to pull content from around the web and “pin” them to their boards. Sometimes images posted by users to the site are pilfered from others without giving the images’ creators credit for the work. And while materials posted on Pinterest are saved, shared and displayed across that site’s platform, users who pin those images are considered copyright holders of that content and are solely responsible for what they pin and repin, per Pinterest’s terms of service, thereby placing full blame and potential legal fees on its users in the advent that they repost content that isn’t fair use. Artists who believe their copyrighted images have been infringed upon may report the issue with the site by submitting a request for that content’s removal. A five-person team manages the account, including Elizabeth Maier, former aide to Arizona Republican Senator Jon Kyl; Andrew Littman, former policy director to Sen. Barbara Boxer (D-CA) and chief of staff to Sen. Al Franken’s (D-MN); Greta Joynes, former deputy chief of staff and legislative director for Rep. John Shimkus (R-IL); William Moschella, former associate deputy attorney general in the Justice Department; and Laura Johnson, a former legislative intern in the Senate HELP Committee.